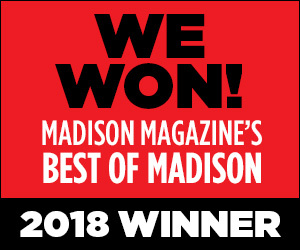 On February 22, 2018 we learned that we won Bronze for Best of Madison 2018 in the Best Spa category. The staff of Therapeutic Massage Center of Middleton wants to extend a huge Thank You to each and every one that took the time to vote for us. Since 2009 we have strived to provide our clients with the best body work and experience possible. This esteemed award means so much to us and we will continue to use it as inspiration going forward.